If you’re afraid of going to the dentist, you are not alone. It's a universal phobia with 9-20% of Americans postponing their dental visits. However, delaying a dental visit makes any disease progress, resulting in loss of conservative treatment options. 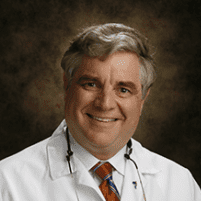 Dr. Woodruff and his team at the S. Clarke Woodruff, DMD in Hellertown, Pennsylvania, do everything they can to reduce your anxiety and provide painless, quick treatments. They work hard one-on-one to give you comfort, relaxation, and happiness during your visit to the practice. Face your dental anxiety, and call or go online to schedule an appointment today. Dental anxiety is feeling unnecessarily stressed about going to see a dentist or before a dental procedure. It is the anticipation of pain, needle-pricks, or drug reaction at the dentist office that makes you avoid the visit. With about 4-20% of people suffering from dental anxiety worldwide, it presents a significant barrier to dental treatment. Fear of anesthetic side effects. If not treated on time, dental anxieties progressively get worse. What are the typical symptoms of anxiety? Have an open conversation with Dr. Woodruff about your stress related to the dental visit. He will take extra precaution during numbing you so that you do not feel the slightest pain. Bring your portable music player and listen to calming music during the procedure. Music also relaxes you and blocks any fear-producing noise. You may feel anxious that your dentist may not know that you are feeling excessive pain, and you may not be able to speak because of instruments in your mouth. Talk to Dr. Woodruff about this issue, and you can both agree on a “ stop” hand sign to halt the procedure. If there is no other way to cope, sedation offers the best alternative for many people. If you feel that you may require sedation, let Dr.Woodruff know in advance so that he can decide the best form of sedation suitable for your procedure. Asking for a mirror, having some support system with you, and spraying your throat with an anesthetic solution are other ways to reduce anxiety. Don’t let dental anxiety prevent you from getting treatment on time. If you have questions or concerns about how Dr.Woodruff can help you overcome anxiety and fear, please contact the office today.